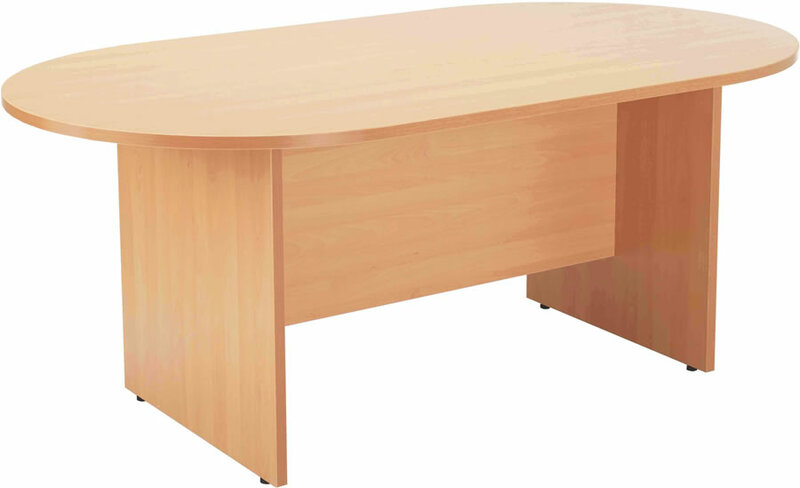 The TC Office Start 1810 beech boardroom table features a h-shaped leg design with a sturdy 25mm thick table top. Suitable for seating up to six people comfortably the Start 1810 boardroom and meeting table is a great choice for offices of all sizes. For peace of mind the Start boardroom table comes with a 5 year manufacturers guarantee and is available in a choice of beech or white finishes.